My winter has been rough. My mother suddenly transitioned from a woman gloriously gloating about turning 90 years-young to a woman convinced she is going to fall. She refuses to get up. Dementia is sadly winning. After a stressful visit, I got sick, felt better, took a fun vacation, and then came down with a nasty bout of shingles. My usual self that lingers in the produce section could only manage the fast, filling, effortlessness of hotdogs, fries, and pizza. And doughnuts, let’s talk about the comfort of Raised Doughnuts. Once I felt better, the “pizza, please” part abated, but the newly discovered “Raised Donut” place in my hood quickly inhabited my brain in the morning. Like the sound of squirrels scampering in the attic, it was hard to ignore. This will be the winter I will remember as emotionally spun back into a former me. After decades of not caring too much one way or the other about sweets, my sweet tooth was driving me. So sick I hadn’t been out of the house for days, I found myself wondering if I could muster the energy to make it to the doughnut shop before they ran out. I used to teach classes on Kicking Your Sugar Habit using hypnotherapy, and EFT. I never stopped loving or eating pastries, but I have certainly enjoyed the freedom of not feeling slightly obsessed. 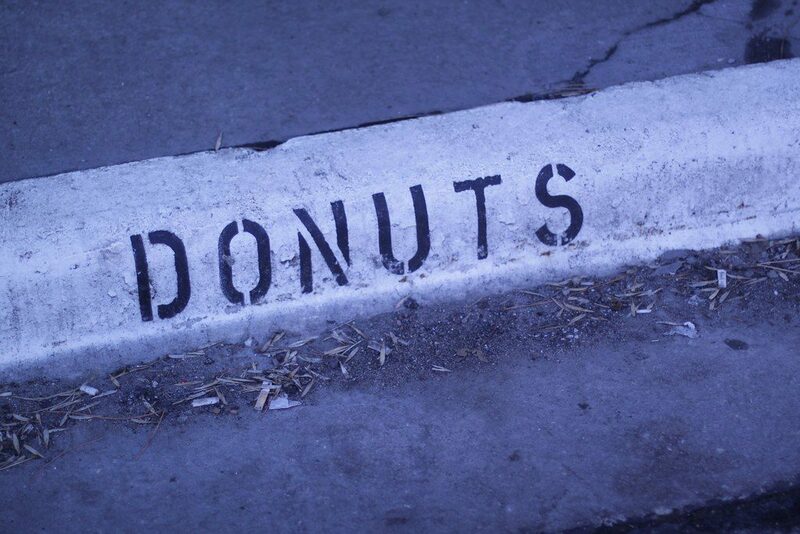 Waking up with the thought of a doughnut doesn’t feel very zen. Eating sugar every day feels even less so. I do not, by any stretch of the imagination, eat like a monk in a monastery, but I was way over to the other side with the Simpsons. And then I felt inspired to create something new. If you find yourself reaching for sugary things and stuff when you really could use some rest, a hug, even some real nutrition, click here to get a free hypnosis for sugar. There is also Letting Sugar Go. Listen as you fall asleep or first thing in the morning. I will let you know when the new hypnosis is ready.